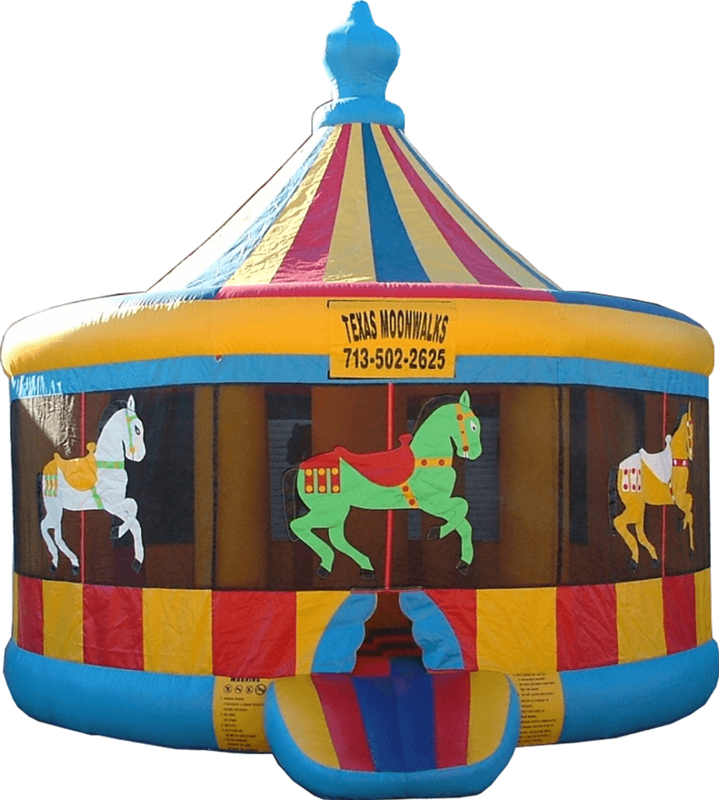 This big, bright and beautiful Carousel is perfect for carnival and circus themed parties. The Carousel measures 16 feet long by 16 feet wide by 18 feet tall!! $150 for up to 4 hours or $175 for all day.